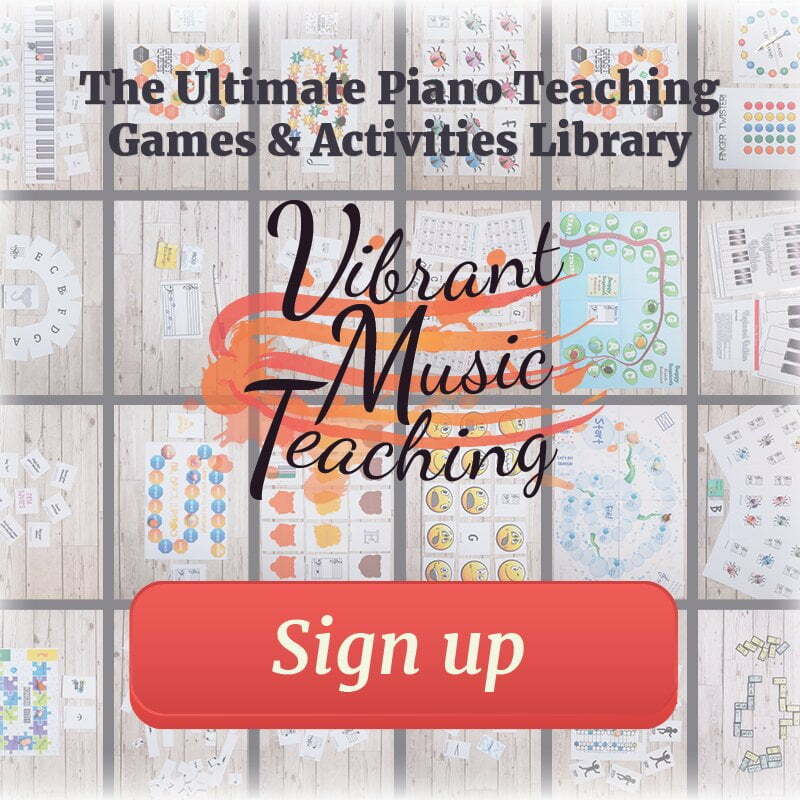 If you haven’t dived in yet to teaching composing yet, I can highly recommend it. I do a project like this in my studio every year, and I’ve been sharing them as I go so that you can join in too. You can find three previous composing project right here on the blog: Animal Menagerie, Circus Collective and Spring Themes. As I was brainstorming themes for this year’s composing project, I was thinking about a student of mine. Let’s call her Anna. Anna gets especially excited for our composing project. It’s her favourite time of year. Anna also loves reading. She comes into my studio every week excited to tell me about what she’s reading and what she’s reading next. So I started thinking how fun it would be to use a fictional character or scene from a book or film as our theme this year. And the more I thought about it, the more I loved it. 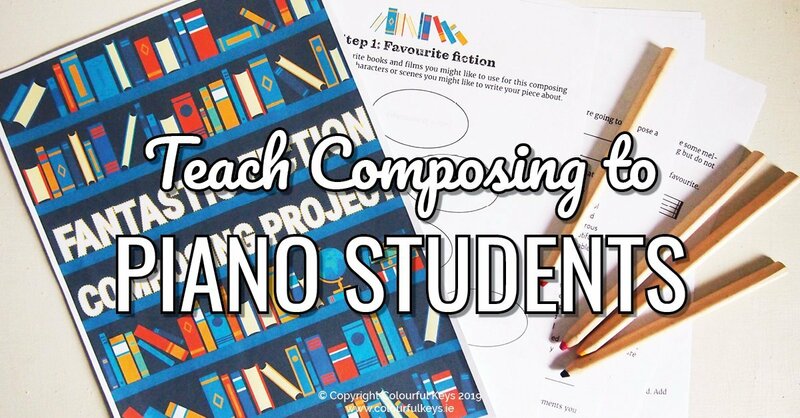 I mean, how great is it that we can promote reading while also teaching composition skills? 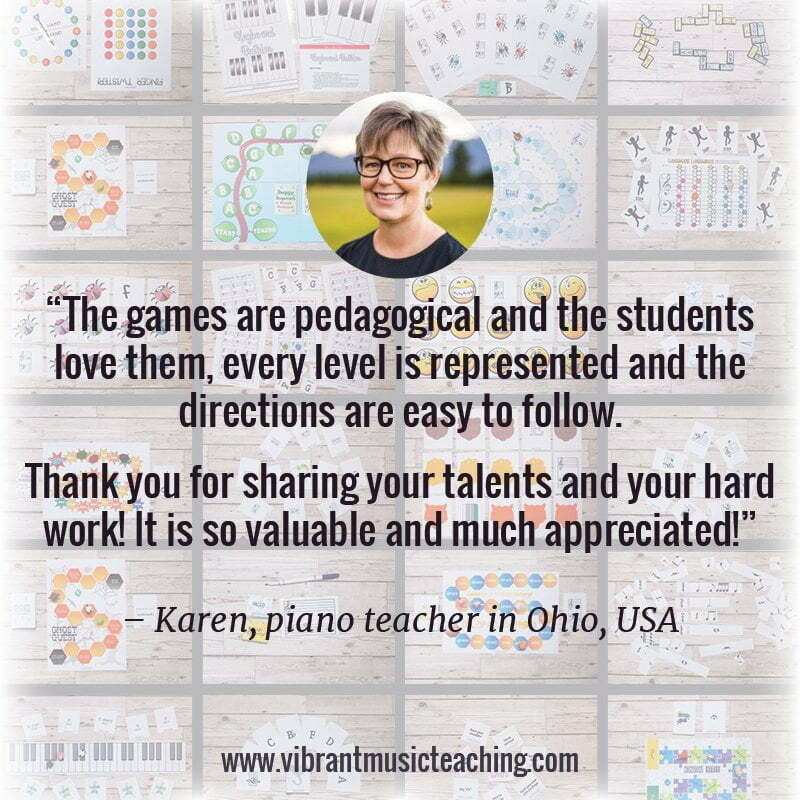 The other bonus is that this project will give students more of an emotional connection to the piece they’re creating. In previous years they’ve been working to represent something, like an animal or circus act, but now the subject is a beloved character. I believe that adds an extra special touch. 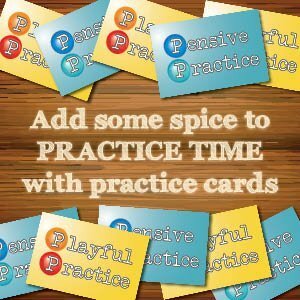 Use with all students in a studio-wide project, or just with an individual student or group. Adapt to each student’s level by exploring or ignoring the articulation, dynamic and form suggestions. With prereaders, allow them to notate in their own style – rewrite for them on the staff if necessary. Complete each section together in the lesson, or assign as homework where possible. 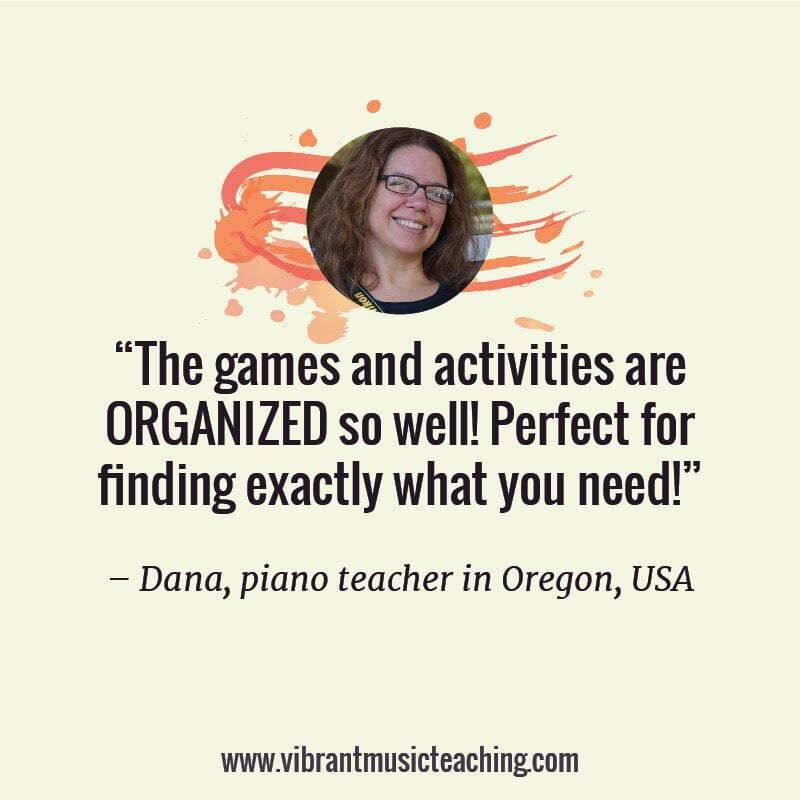 Encourage your student to take their time and try out many different options before deciding on their final composition. 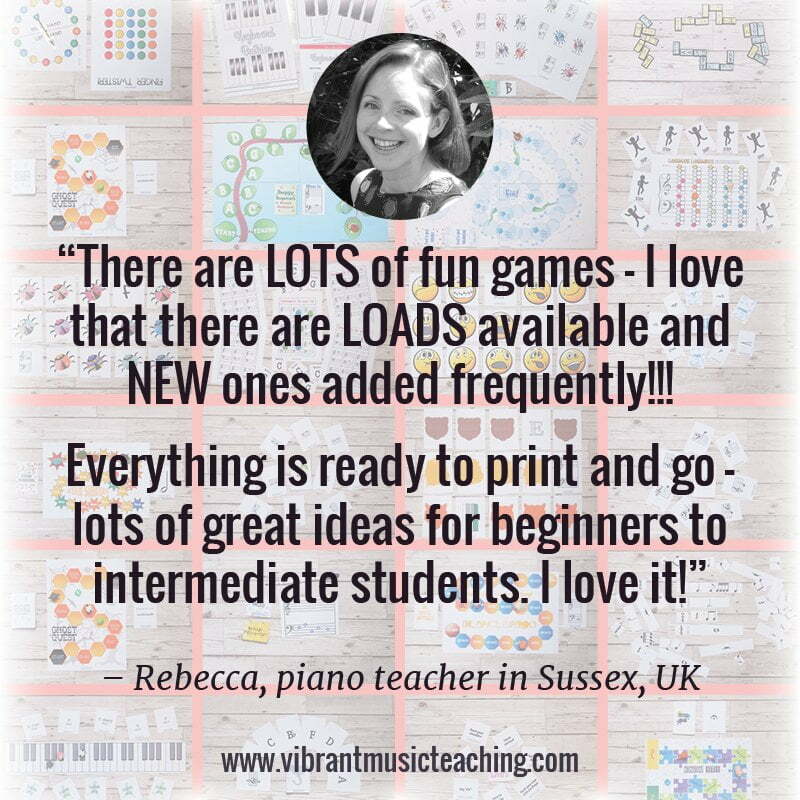 Optional extra: Record your students’ compositions and put them together on a studio CD or SoundCloud page or notate them digitally and create a book of your students’ pieces. Print out the project (pages 2-9) and put it in your students folder/binder. You will need one copy for each student. 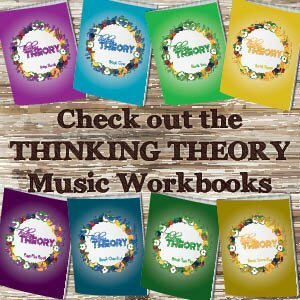 Composing is a fun and interactive way for students to learn about form, notation and other music theory. A studio-wide composing project is also fantastic for creating a sense of community and team spirit in your studio. 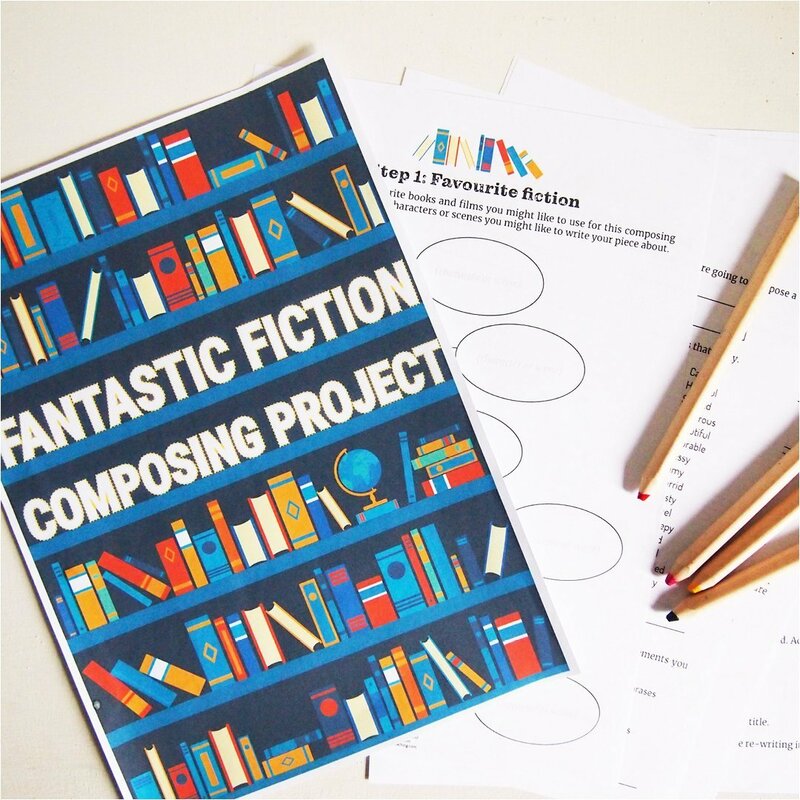 You can download this composition project to use in your studio totally free by entering your details below. 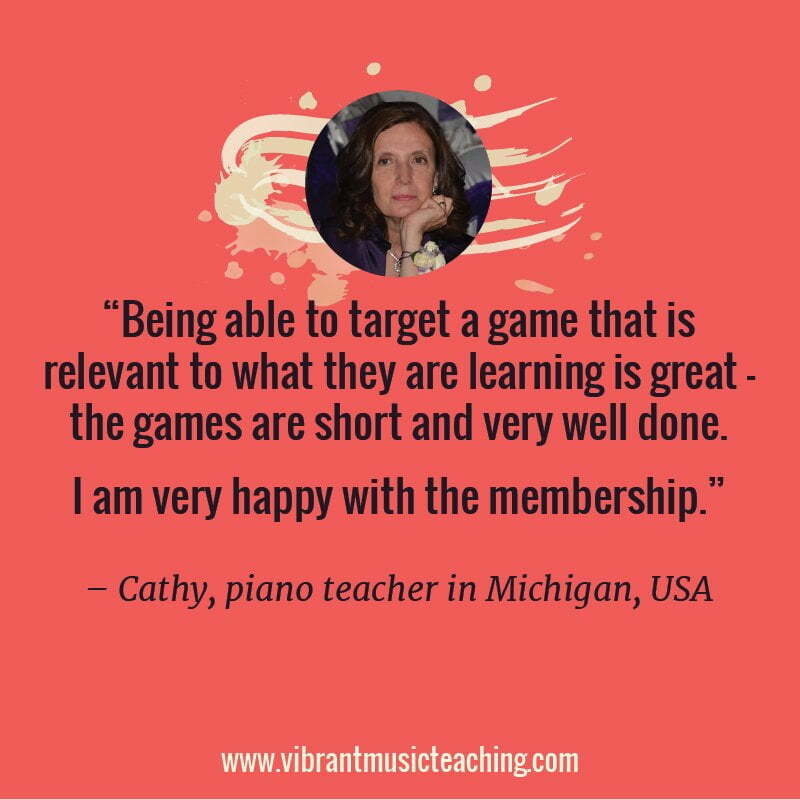 Vibrant Music Teaching members can access this download instantly here. If you’re not a member yet you can find out more about the membership and how to sign up here. 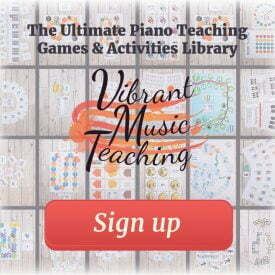 Enter your details to subscribe to the newsletter for piano teachers with information, tips and offers. I hate spam as much as you do! 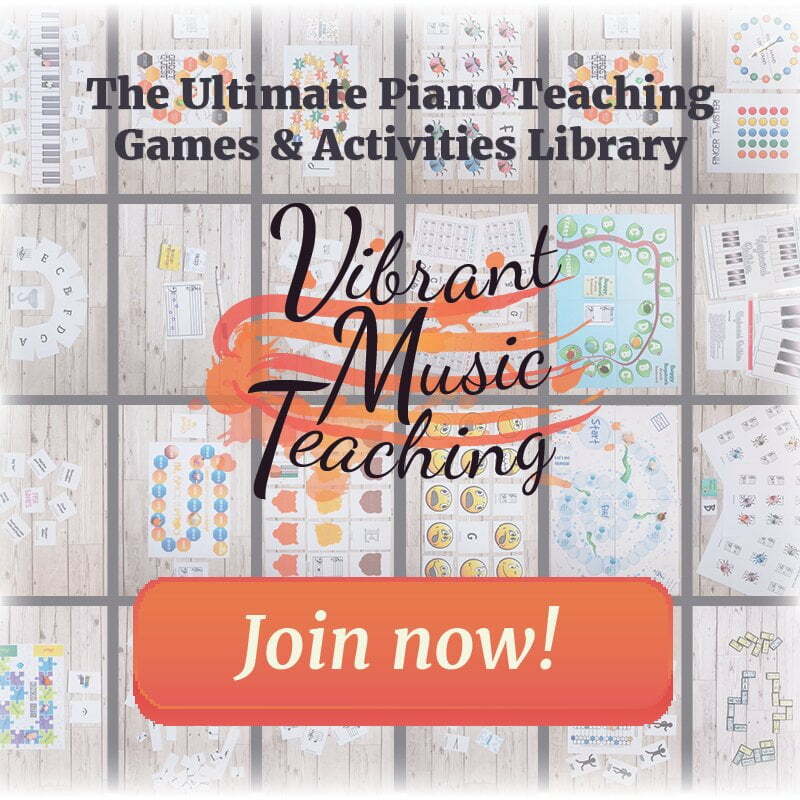 I will only send you emails related directly to piano teaching and you can unsubscribe at any time. 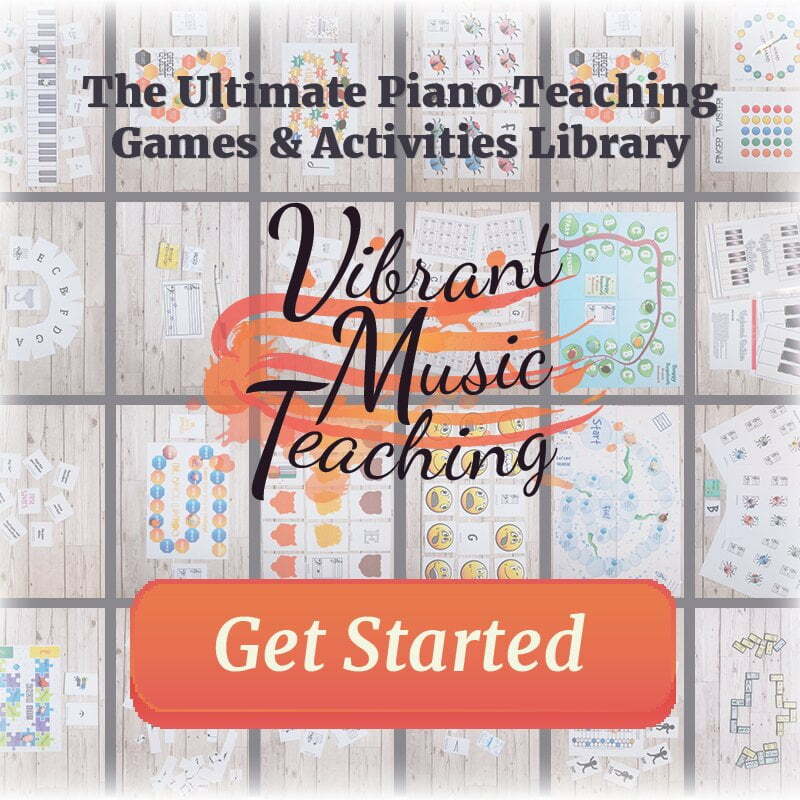 Do you teach music composition to your piano students? How do you go about it? What resources or approaches have you found the most effective?